Download PongSaver (35kB) Requires Mac OS X 10.6 or later. PongSaver is a Mac screensaver which plays a game of Pong against itself. 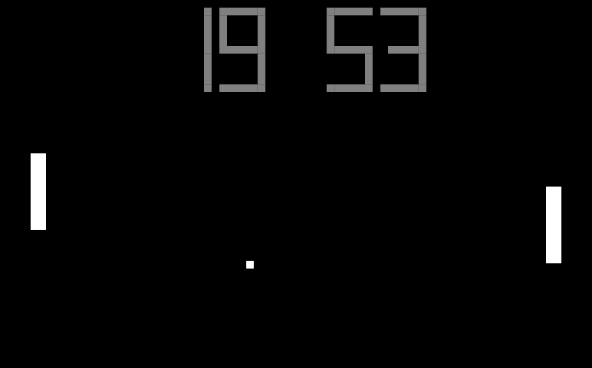 It doubles as a clock, by using the score display to show the current time. It does this by changing the intelligence of the two sides so that they score when needed to advance the hours and minutes. I wrote PongSaver while working at Rogue Amoeba way back in 2005. In 2017, they retired it from their lineup and gave it back to me. Now it lives here on my site.